HackTheHill assists Kamehameha Schools students in planning their class schedules. Users have the ability to cross-match their schedules, allowing them to find others with similar schedules and classes. Released during my freshman year of high school, the app amassed 800 students in the first 24 hours. 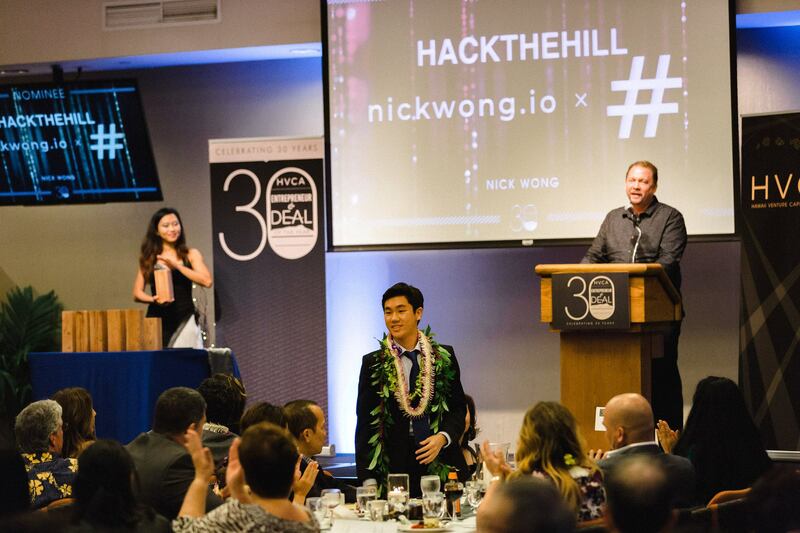 HackTheHill received praise from the Hawaiʻi Venture Capital Association and helped me earn Finalist recognition as Hawaiʻi's Student Entrepreneur of the Year in 2018. Since launching in 2015, I’ve iterated upon the application every year–changing the user interface, updating legacy methods and technologies, and envisioning other uses for the technology. After completely updating system processes this summer, the improved application performed relatively seamlessly–amassing 800 students in the first 24 hours of uptime and 1,018 students in total. HackTheHill represents my efforts of propelling my school community into the 21st century.